2019 is shaping up to be a big year for romance, especially for members of Bachelor Nation. 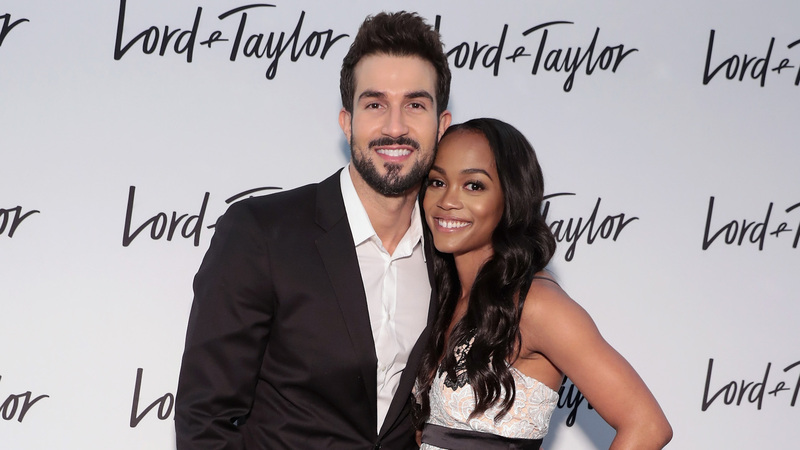 In an exclusive new interview with Entertainment Tonight on the red carpet at We TV’s “Real Love: Relationship Reality TV’s Past, Present & Future” event on Wednesday, The Bachelorette‘s Rachel Lindsay said she’s fine with forgoing a televised wedding if it means the ceremony can happen soon — like, soon as in 2019. It sounds like Lindsay is finally ready to marry Bryan Abasolo, whom she’s been engaged to since 2017. From the sounds of it, Lindsay is super-ready to call Abasolo her husband. “I don’t want to keep waiting to marry the person that I’m going to spend the rest of my life with,” she said, reportedly telling ET that she an Abasolo weren’t presented with an offer for a televised wedding. “I think it’s a misconception that everybody thinks you get engaged, you’re automatically getting a wedding, but that’s not the case,” she added. Per ET, Lindsay had previously discussed her openness to a TV wedding, but it’s since become clear “[T]he cards weren’t aligning in the right way.” Meanwhile, she’s also decided against wearing a pantsuit for the big day, which she had previously planned to do. “I think I would regret it at the end of the day if I didn’t wear a dress, and I want Bryan to see me in a way he can’t see me on a red carpet, something special for our wedding day, something to make him cry,” Lindsay said.